What does Rapid Mortgage do with your personal information? All financial companies need to share Customers personal information to run their everyday business. 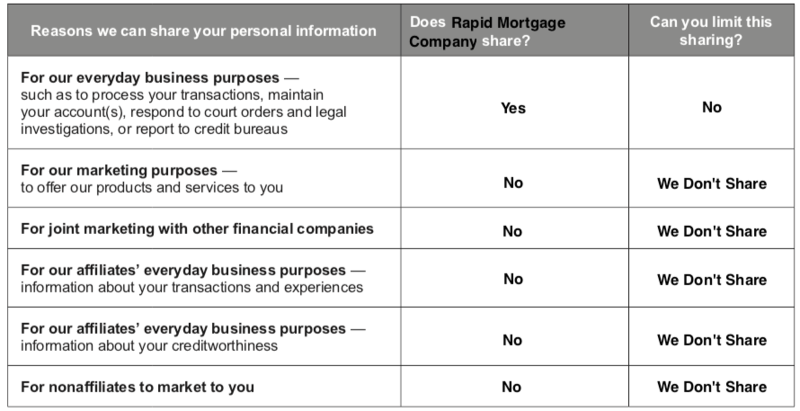 In the section below, we list the reasons financial companies can share their Customers personal information; the reasons Rapid Mortgage Company chooses to share; and whether you can limit this sharing. How does Rapid Mortgage Company protect my personal information? To protect your personal information from unauthorized access and use, we use security measures that comply with federal law. These measuresinclude computer safeguards and secured files and buildings. How does Rapid Mortgage Company collect my personal information? Give us your wage statements. 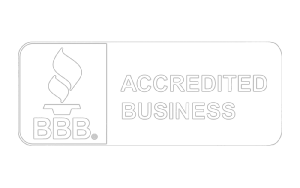 We also collect your personal information from others, such as credit bureaus, affiliates, or other companies. Why can’t I limit the sharing? AFFILIATES: Companies related by common ownership or control. They can be financial and nonfinancial companies. Rapid Mortgage Company has no affiliates. JOINT MARKETING: A formal agreement between nonaffiliated financial companies that together market financial products or services to you. Rapid Mortgage Company does not jointly market.